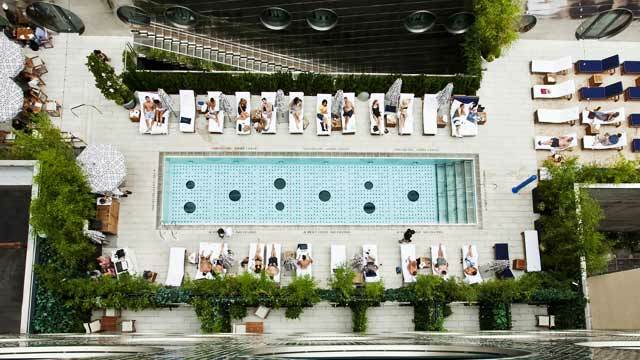 No grand heights or views, at the Pool Lounge at The Dream Downtown you instead get a décor inspired by the south of France, real sand on the ground and a pool that has windows on the floor that you can see from the hotel lobby. 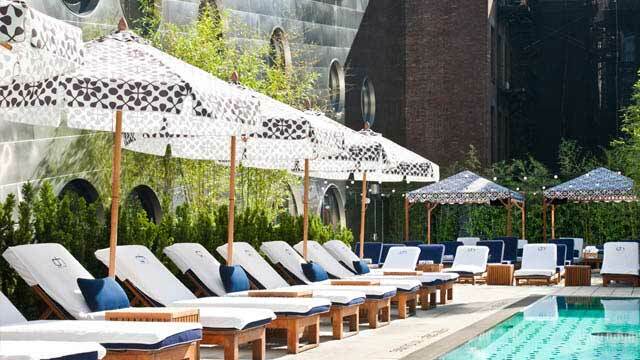 A super cool swimming pool and therefore also a good choice among the best rooftop pools in NYC on this list. The rooftop pool is open daily for hotel guests, while non-guest can purchase pool passes between Monday-Friday, at a cost of $65/day. 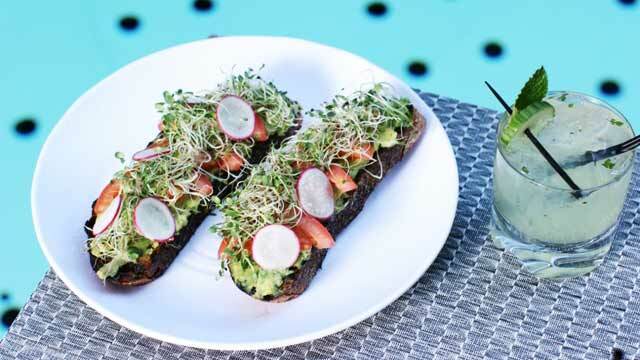 If you don't feel like swimming, there is also an indoor / outdoor pool bar & grill located right next to the pool, serving a casual all-day menu, seasonal cocktails and all other drinks usually connected with a poolside lounge. Quite strict requirements to enter at the Pool Lounge, so make sure to dress nicely and arrive with the right company, and in good time. 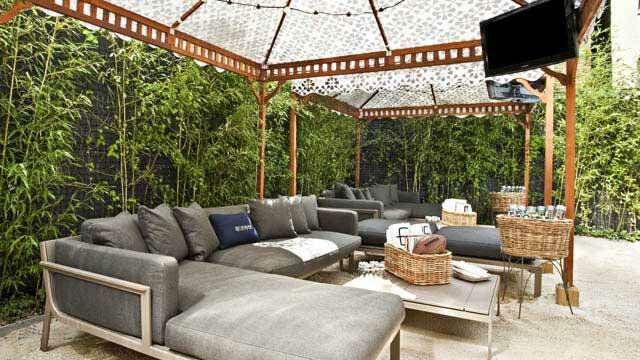 If you are looking for a higher experience with more views, check out the PH-D Rooftop Lounge, located in the same building. 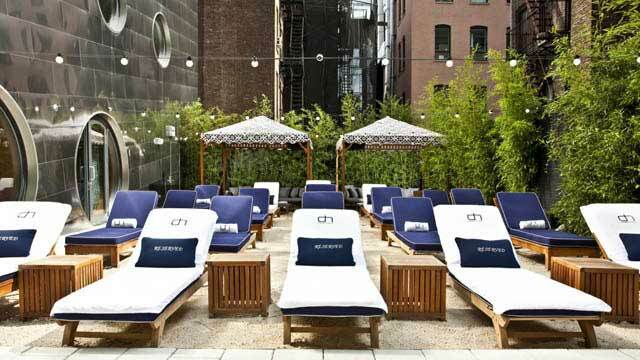 Tip: Enjoy both the Pool Lounge and the top floor PH-D Rooftop Lounge by staying at the 4-star Dream Downtown.